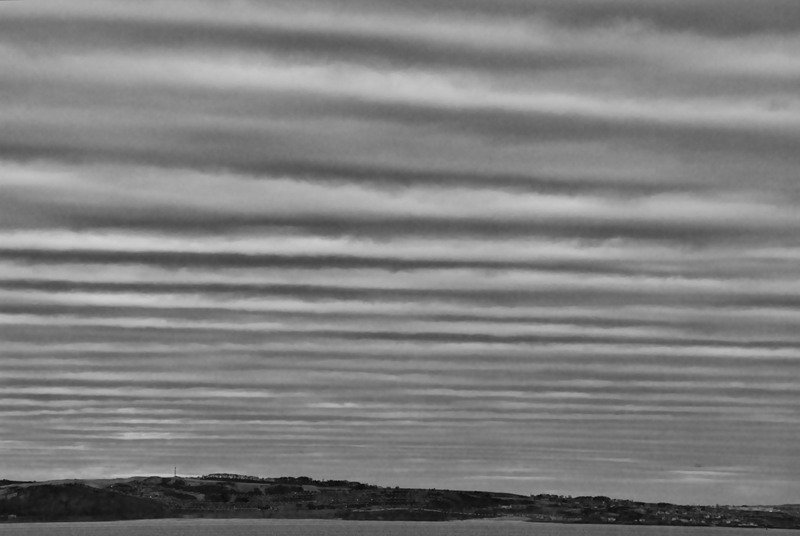 As I was eating breakfast this morning I noticed how interesting the sky across the Firth of Forth looked. I promptly abandoned my marmite on toast, grabbed my camera anD pushed open the bedroom window to get a few shoots. 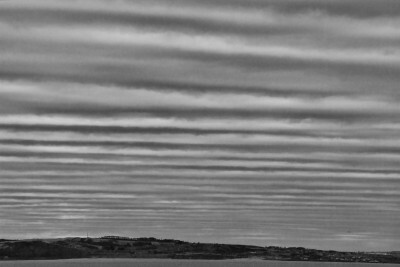 I think it looks great in black and white as you can really see the light coming through the strips of cloud.